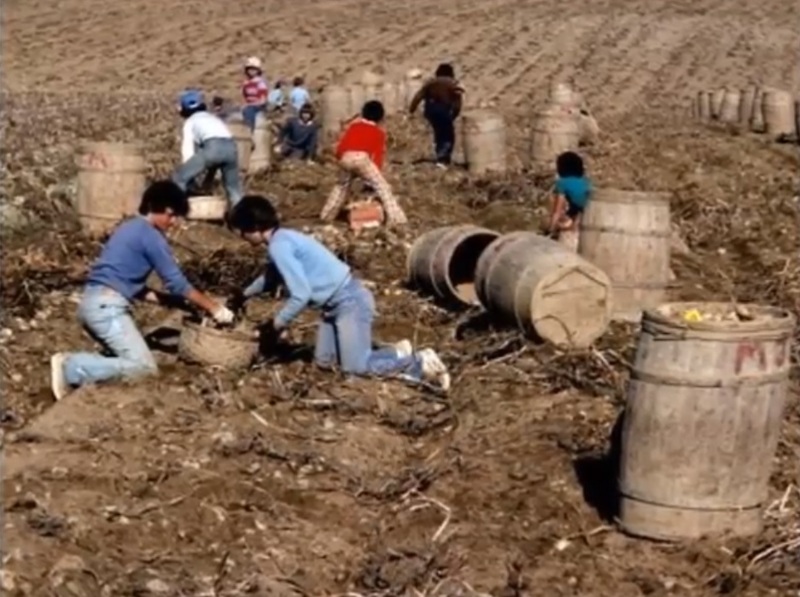 Pickers filling baskets with potatoes in New Brunswick. A slideshow of harvesting potatoes along the Saint John River Valley in New Brunswick. 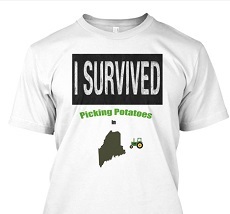 Like Maine, this area has a long history of farming potatoes and people working hard to get the crop in. 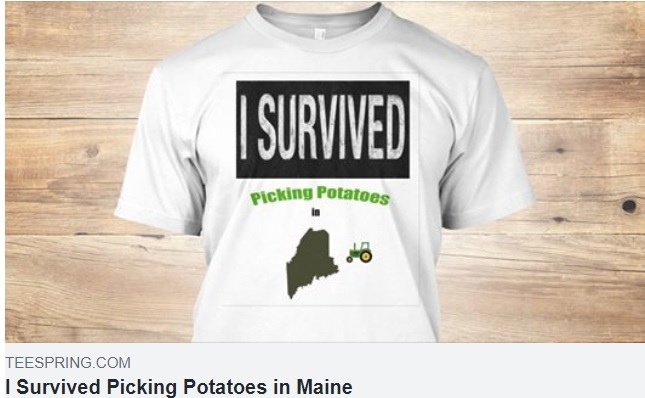 For many years in Northern Maine, school would recess in the Fall and kids would spend long hard days working in the potato fields. Pick up potatoes, fill a basket, dump the basket in a barrel and repeat. When the barrel was full you earned $0.25. Repeat until sunset or longer. Many kids would use the money to buy school clothes or other necessities. Were you part of this tradition?